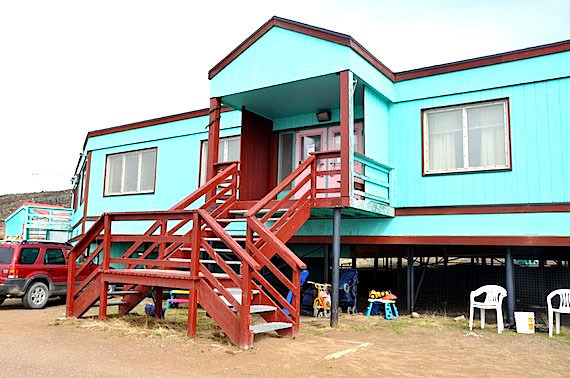 The Qimaavik Women’s Shelter in Iqaluit is the only women’s shelter in Nunavut that provides safe shelter, crisis intervention and victim advocacy to Inuit women and their children impacted by violence. Despite several cutbacks in the last couple of years, the shelter has increased its program and the number of women that use its services. The Qimaavik emergency women’s shelter provides 24-hour help. However, these services, which serve women from 13 communities in the Baffin region, are stretched beyond their limits. The 25-year-old shelter has struggled for many years to make ends meet – it was even on the brink of closure in 2006. The Qimaavik women’s shelter is operated by the AGVVIK-YWCA society that the SJF has supported over the years.